Buffalo Sports Page’s Bob Gaughan always has plenty of opinions. Those thoughts of him don’t take a summer vacation. Since the Bills drafted Josh Allen I’ve been saying that he would start against the Chicago Bears on November 4th. This is half way through the season after the New England Monday night game. After the first couple weeks of training camp, I’ve moved the clock up. I now believe that Josh Allen will take over in week five at home against the Tennessee Titans. This is not because Allen has done anything special in training camp. He’s been what I expected him to be. The reason I’ve moved it up is because AJ McCarron and Nathan Peterman have been nothing special. I expected more from one of these two. The fifth week gives Allen four weeks of the regular season to see how the regular week of game preparation goes. Keep in mind regular game weeks are a little easier than training camp in one sense. When you’re putting in a game plan for an opponent your working on 50 plays each week not the whole play book that your trying to put in now during training camp. Four weeks seems like a good amount to get Allen use to the routine. He will all so miss very tough road games in Minnesota and Green Bay by taking over in Week 5. UB training camp started this week as well. The Bulls are a veteran team that seems to have a chip on their shoulder by not being selected for a bowl game last year, in spite being eligible by going 6-6. This team looks hungry. The Vegas odds for the Bulls regular season wins this year is 6.5. For those of you interested, over 6.5 appears to be a very good bet. Looking at the schedule there is not one certain loss on the slate. If I had to place lines on games right now I would think the Bulls are the favorite in eight of the twelve contests. The largest underdog they might be all year is 6 points in Temple or Toledo. As long as quarterback Tyree Jackson stays healthy over 6.5 wins seems like a VERY GOOD BET!!!!!!! The Red Sox big lead over the Yankees in the AL East might be a good thing for both clubs. Both teams appear to be a lock for the post-season. At this point I believe both teams can take it easy and set-up their team for the post-season. 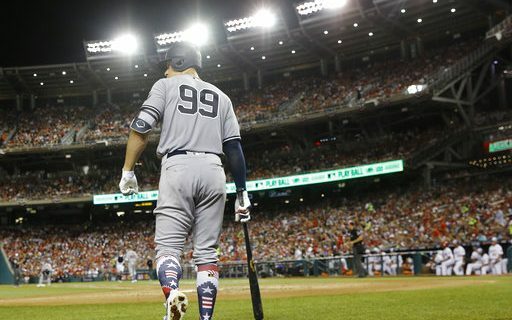 What this means is the Yankees shouldn’t rush Aaron Judge back in the line-up. The Red Sox should let Chris Sale miss a few more starts. If both teams were pushing hard for the division title they might wear themselves out for the post-season. Sale was worn out by the post-season last year. The Red Sox can’t let that happen again this year. The knock on baseball is it’s the only sport where you could say this: I think the Red Sox and Yankees are the best teams in baseball but in the post-season I like the Astros and Indians. You would never say that in any other sport. In basketball you might have said this year the Raptors have a better regular season record than the Cavs but I think the Cavs are the better post-season team. I’m not saying regular season wins mean everything, but I in fact think the Red Sox and Yankees are better teams than the Astros and Indians. But if they get into a five game series, I believe having to face those top end starters on the Astros and Indians make those inferior teams tougher in a short series. To me that’s a flaw with the baseball post-season. Read what Bob was thinking about during the month of July.